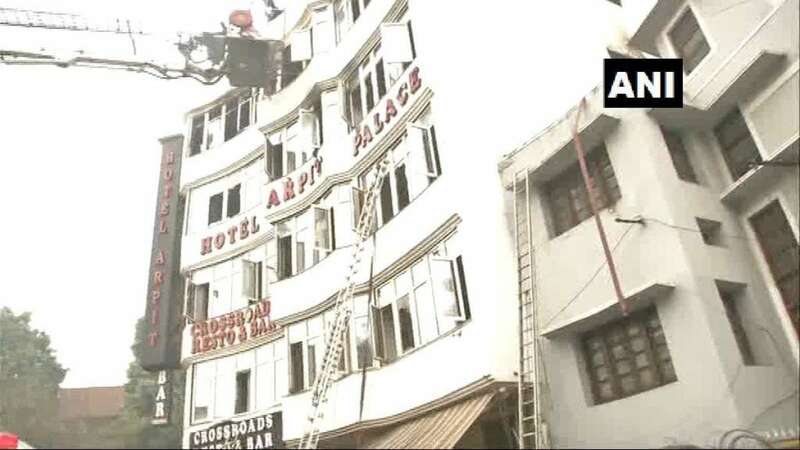 New Delhi : At least nine people have been reported dead after a fire broke out at Hotel Arpit Palace in Delhi’s Karol Bagh in the wee hours of Tuesday. Fire tenders have rushed to the spot to control the raging blaze. Firefighting and rescue operations are underway.